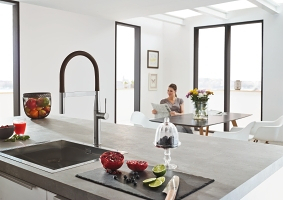 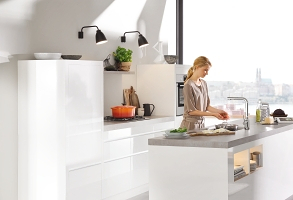 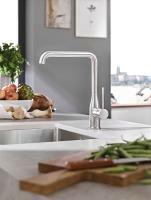 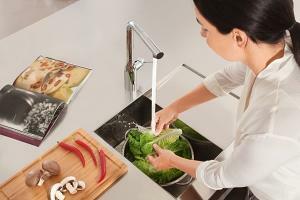 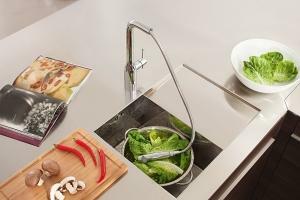 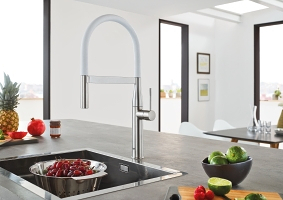 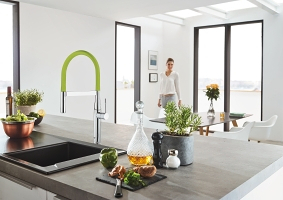 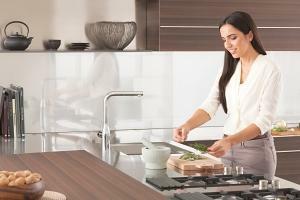 Enhance your kitchen's performance with thesleek, architectural Essence Professional tap, designed to bring professional features and convenience to your scheme. 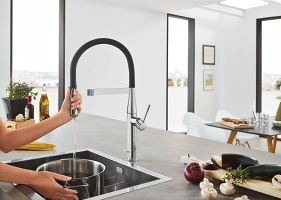 From the 360 degree turnable spring arm to the effortless Easy Dock M magnetic system for the dual-spray metal head, every detail has been designedwith ease of use in mind. 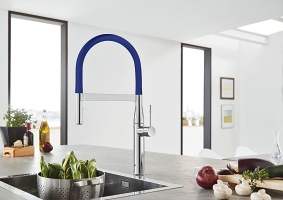 Featuring GrohFlexx technology, the hygienic santoprene hose is not only easy-to-clean but also comes in a choice of 11 colour finishes to harmonise with any kitchen.